If it doesn’t compel your target, it’s not creative. 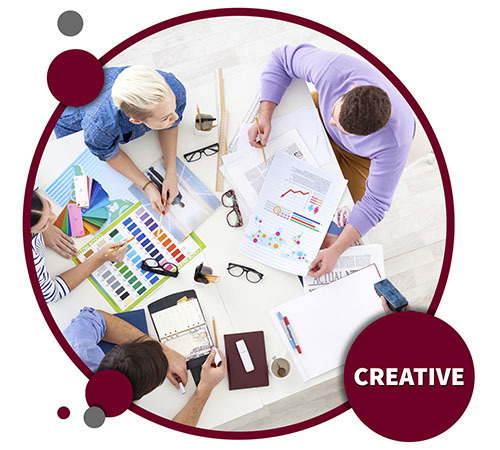 Red Crow Marketing delivers exceptional creative to help distinguish your brand from the pack, while elevating and amplifying your brand’s value perception at the same time. We take the time to strategize and digest your business and its unique marketing goals. Then, we build out top-notch creative while engaging and inserting communication pieces aligning with your specific strategic objectives. Crisp, clean and most importantly, compelling. Our process is open and synergistic. We invite feedback and encourage input to ensure all efforts are centralized around results. Red Crow Marketing produces outstanding creative to help any brand distinguish itself from the rest, while elevating its value perception at the same time. That’s not the goal. It’s the result.